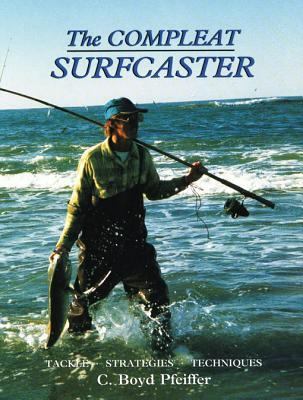 The Compleat Surfcaster has everything the beginning angler needs to know for more productive surfcasting - and even experienced surf fishermen will find an invaluable resource in this concise and authoritative book. Beginning with a thorough review of tackle, rigs, baits, lures, and accessories, The Compleat Surfcaster teaches the fisherman better casting methods for distance and accuracy and 'reading the surf' techniques for finding more fish. There is an invaluable chapter on driving and outfitting beach buggies; and a special table gives essential details on tackle, techniques, and strategies for catching blues, stripers, redfish, as well as other popular gamefish on all coasts. The Compleat Surfcaster will help put fish on the lines of surf fishermen everywhere. (7 X 9 1/4, 208 pages, b&w photos, diagrams)Pfeiffer, C. Boyd is the author of 'Compleat Surfcaster' with ISBN 9781558210523 and ISBN 1558210520.